A Blue School offers a healthy learning environment and exposes students to environmentally-friendly technologies and practices that can be replicated in their communities. It inspires students to be change agents in their communities and builds the next generation of WASH and environment sector champions. 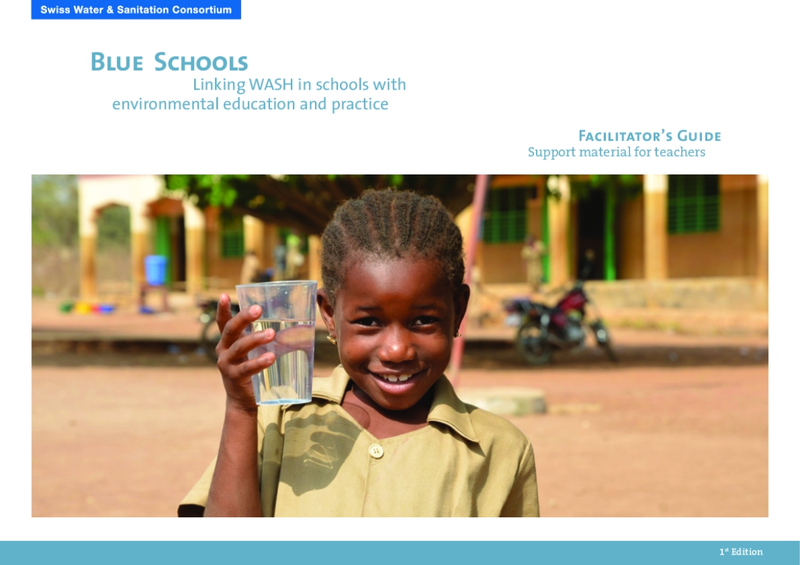 The Facilitator's Guide is designed to provide a visual support for teachers to introduce or strengthen the Blue Schools topics to students – including overlooked topics such as gender, menstrual hygiene management and transformation of solid waste into resources. For each topic, it suggests learning objectives, questions for discussion and examples of practical exercises. Images should be adapted to the local context and culture as appropriate. The full description of the practical exercises, how to implement it and picture sources, as well as technical background sections on each topic are found in the Catalogue of Practical Exercises. Users of this document are also encouraged to refer to the other materials of the Blue Schools Kit i.e. the Catalogue of Practical Exercises, the Concept Brief and the Catalogue of Technologies.